January >> marks the beginning of a new year of course and this new year is welcomed with an array of new albums from some very eclectic artists fittingly representing newness in some way, shape or form. New beginnings seem to be a theme in this class of releases. While I was a huge fan of Gnarls Barkley when St. 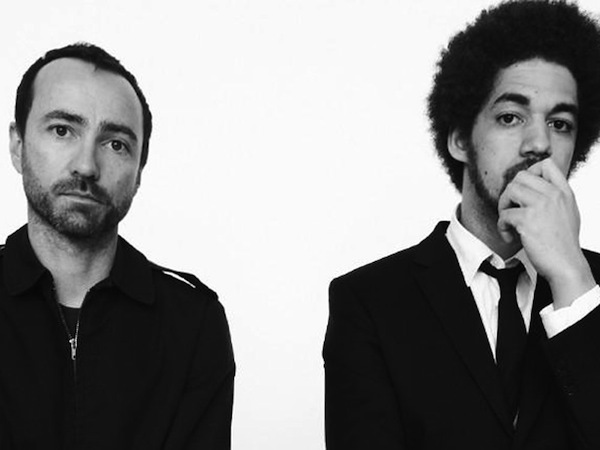 Elsewhere dropped in 2006, I have always thought Danger Mouse was the true talent in the duo. I really dug The Shins for a hot minute too so it was great to see frontman James Mercer and Danger Mouse combine forces to create Broken Bells. These common denominators will release their sophomore album After The Disco this month which is a follow-up to their self-titled and very innovative first LP. It's said that all good things must come to an end but that doesn't mean more good things can't come elsewhere. John Frusciante's tenure with Red Hot Chili Peppers eventually ended but his talent persisted and his sound lent to a band full of gals in Warpaint whose self-titled album will be their 3rd to evolve from Frusciante's production. Sometimes people get an unexplainable urge for change no matter how cozy the current situation. Tom Gabel fronted a truly raw punk band for more than a decade before coming out as a transgender in 2012. Against Me! 's upcoming album Transgender Dysphoria Blues will be the band's first album under the newly genetically transitioned frontman now known as Laura Jane Grace. The lyrics to 'Stop!' from their New Wave album in 2007 now have a whole new meaning, right? These are just a few of the artists setting the tone for 2014 and below are the other notable albums to be on the look out for this month. Happy 2014 yo! This entry was posted in music, new music, rando and tagged 2014, after the disco, against me, broken bells, bruce springsteen, can't contain it, danger mouse, dum dum girls, forever, james mercer, john frusciante, laura jane grace, mind over matter, mogwai, mustard plug, new music, of mice & men, painted palms, rave tapes, red hot chili peppers, restoring force, st. elsewhere, stop, the shins, tom gabel, too true, transgender dysphoria blues, ultra, ultra music, ultra records, ultra.dance, warpaint, young the giant. Bookmark the permalink.